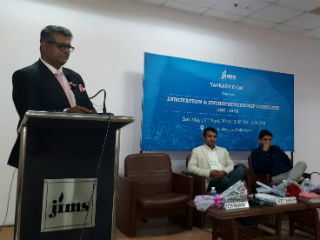 The conclave was organized to provide interaction among various stakeholders in Start-up ecosystem, i.e. the Incubators, Start-ups, Educational institutions, Funding organizations and Service providers. 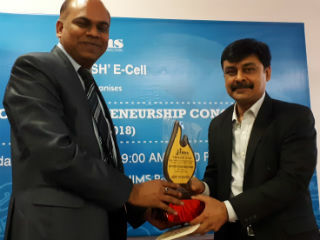 It aimed at providing exposure to the students; those who are already into initial stages of startups or are planning to begin their own venture in near future. 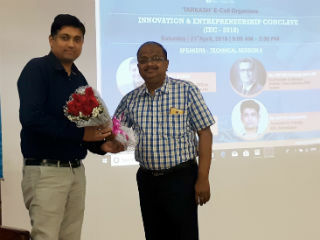 In the Inaugural and later Technical sessions, speakers from across different Startup firms shared their experiences and deliberated on various aspects of Entrepreneurship. The first Technical session was on the topic ‘Vital elements in Start-up success: Branding & Customer Service’. 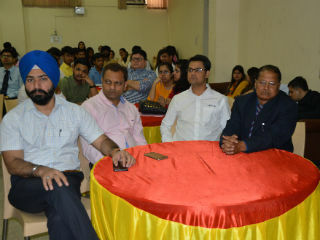 The speakers were Mr.Saurabh Kaushik, India’s premier 10X Business Growth Coach and Mr.Ravi Kumar, Founder udChalo. 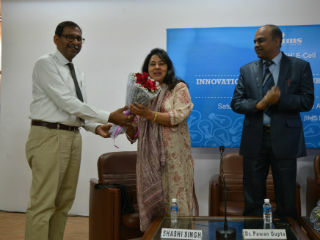 The session was moderated by Dr.Kirti Sharma, Assistant Professor, MDI, Gurgaon. 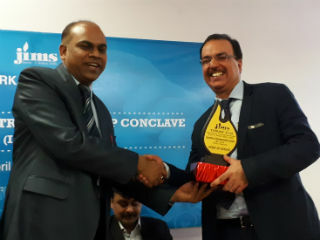 Mr. Kaushik, in his address told about the role and important of branding in the success of Start-ups, while Mr.Ravi Kumar shared story behind founding of ud-chalo and how it is catering to niche market of armed forces. 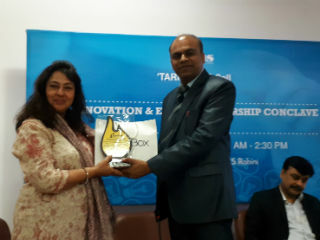 Dr.Kirti Sharma gave a presentation on branding and marketing with a special case reference of Chaayos, a start-up for online selling of tea varieties. The second Technical session was on the topic ‘Expanding your Startup: The Invincible hand of Financing & Training’. 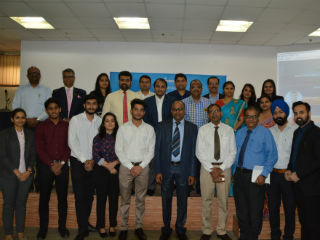 Speakers were Mr.Jeet Singh, Co-Founder and Director, Tessellate Tech Ventures and CFO at Napino Auto & Electronics Ltd., Mr.Peter Rohan Malik, Co-founder, Arohan Solution and Dr. Satya Acharya, Sr.Faculty, EDI. Ahmedabad. The panelists deliberated on types of finances available and the challenges faced by the venture investors in financing the Start-ups. 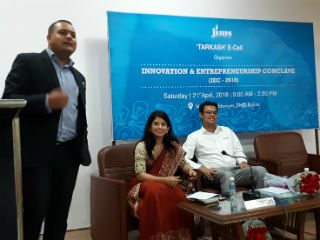 The speakers also shared their own journey in the Startups and provided lots of thought provoking insights to the audience. 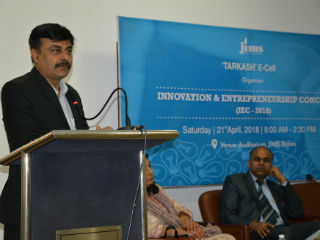 Mr.Jeet Singh shared numerous case studies of the start-up ventures funded by his firm and their performances prior and later to financing. 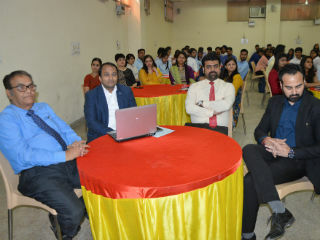 Mr.Peter Malik, kept the audience engaged with his story of Arohan Consulting, while Dr.Acharya gave presentation on the role of financing in the entrepreneurship. 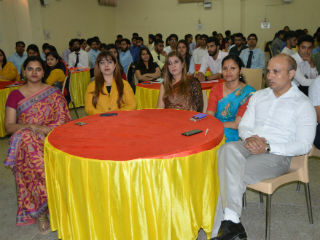 The audience throughout remained involved by interacting with the speakers during and after the sessions. They were mainly students, alumni, faculty and few start-up firms. 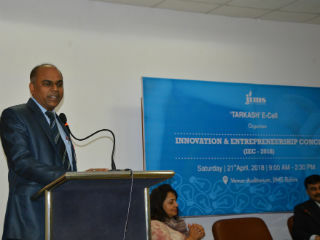 It was a highly useful session in which speakers touched upon the different vital aspects of entrepreneurship. 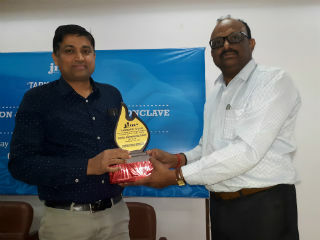 The Conclave ended with a vote of thanks by Dr. Sumesh Raizada, faculty coordinator for E-cell, JIMS, Rohini. 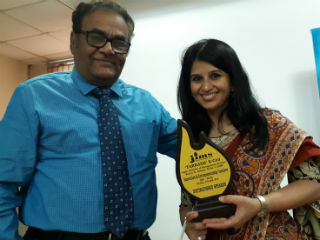 He was assisted by E-cell faculty members Mr. Sanjive Saxena and Mr.Sunny Seth along with student coordinators Kunal, Vivek, Uddish, Diksha and Vikas.